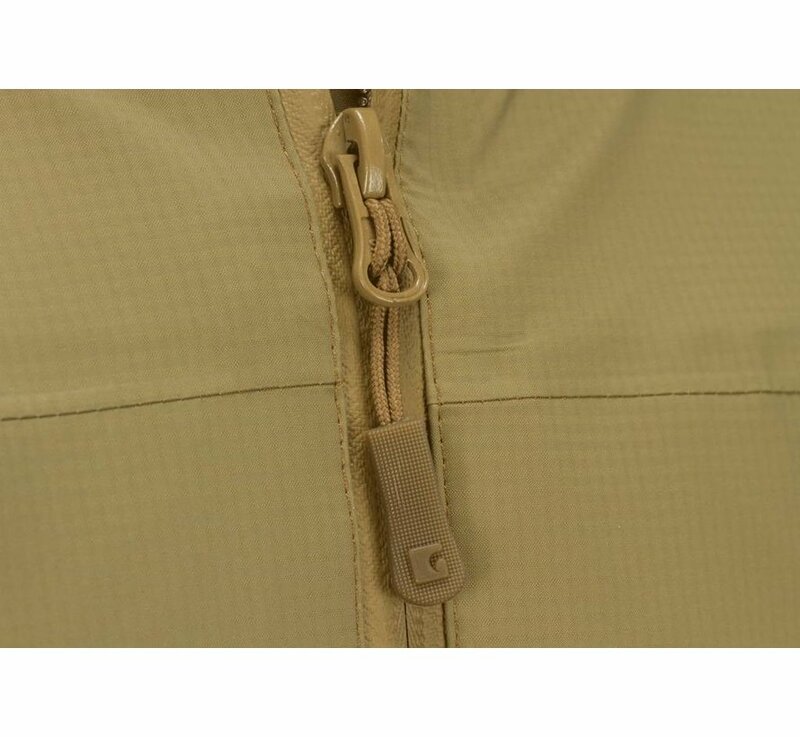 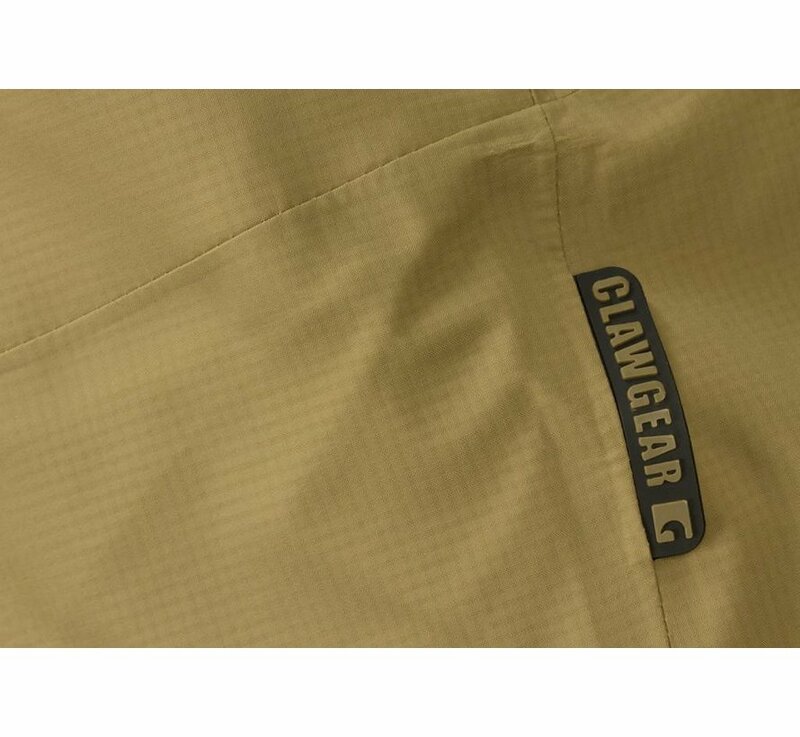 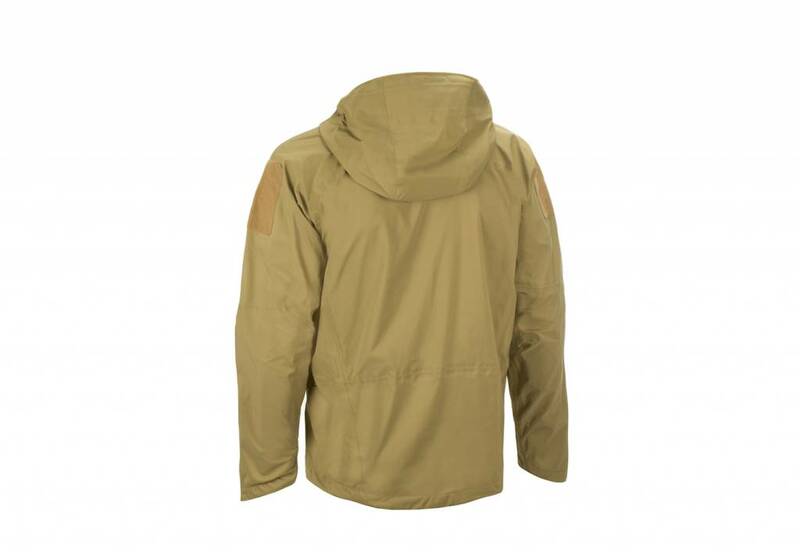 Claw Gear Melierax Hardshell Jacket (Coyote). 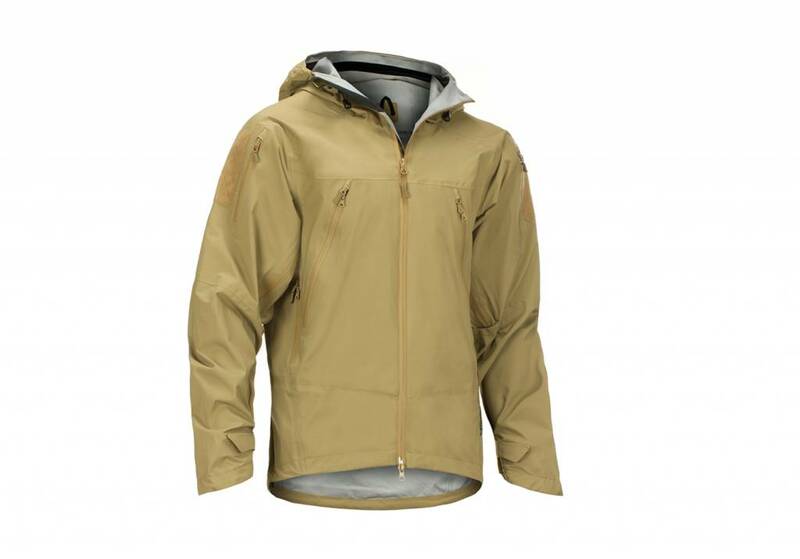 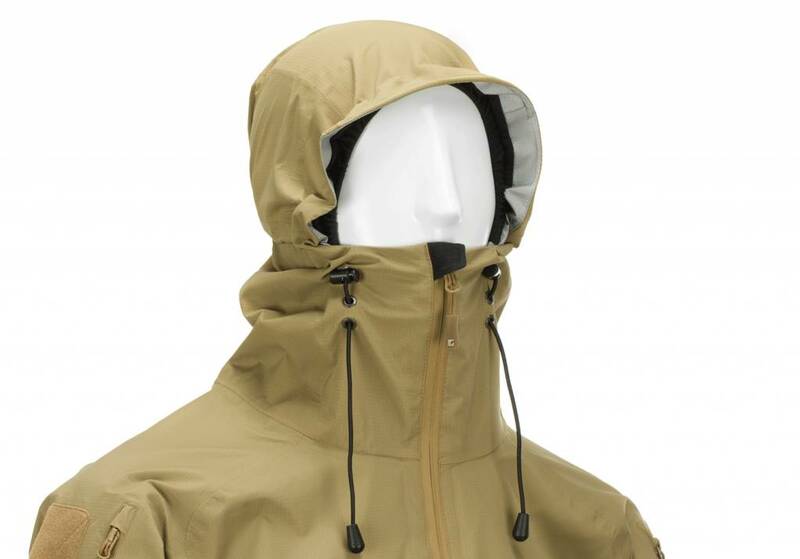 Melierax Hardshell has been designed as a lightweight jacket for best possible protection against storms, rain and snow. 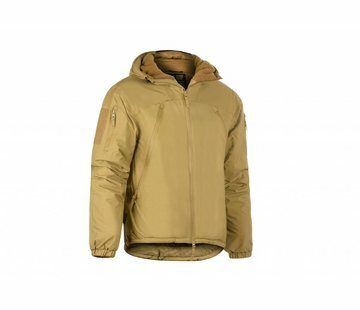 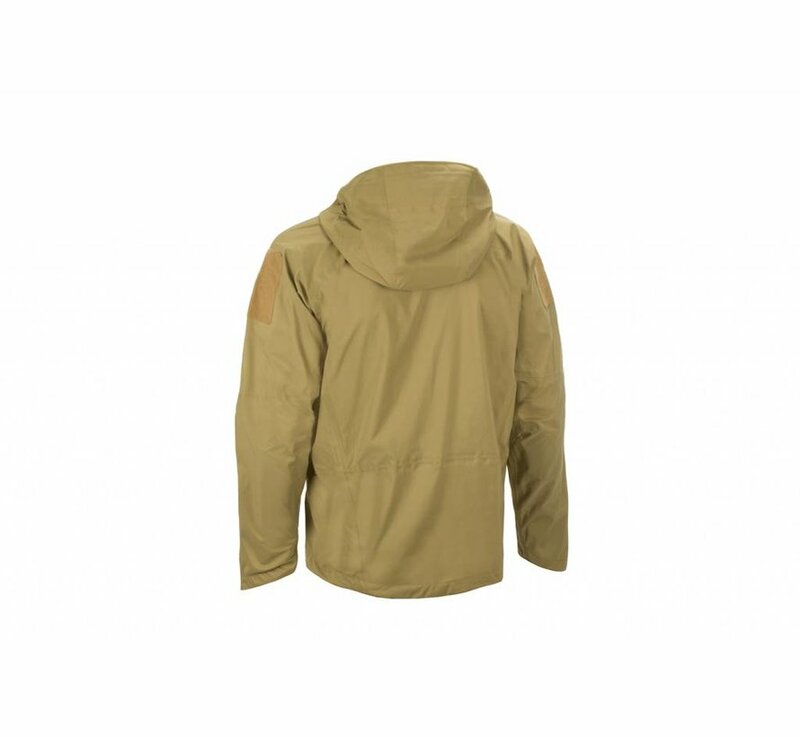 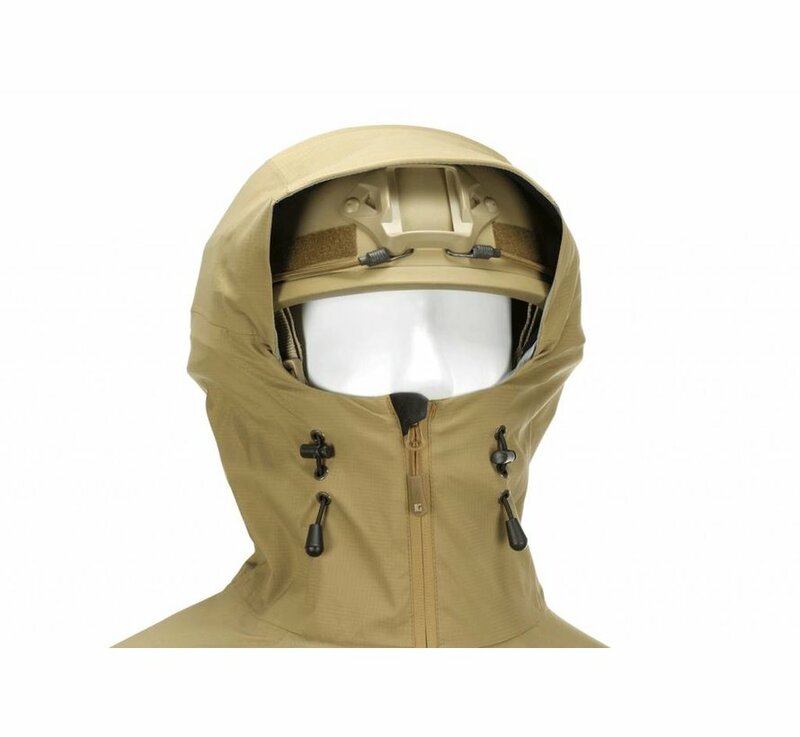 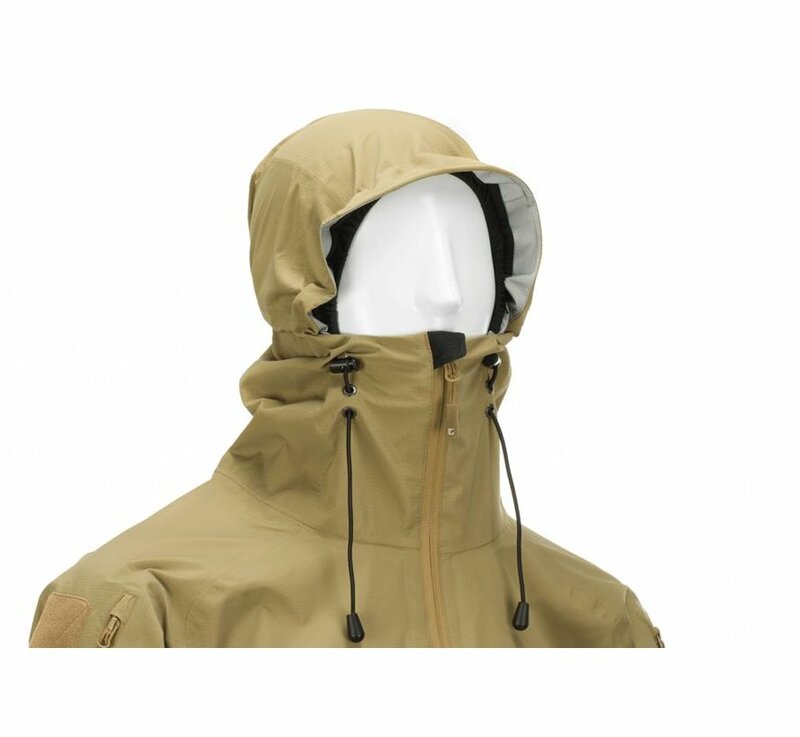 The reduced infrared signature (NIR) makes this jacket applicable for special operation use. 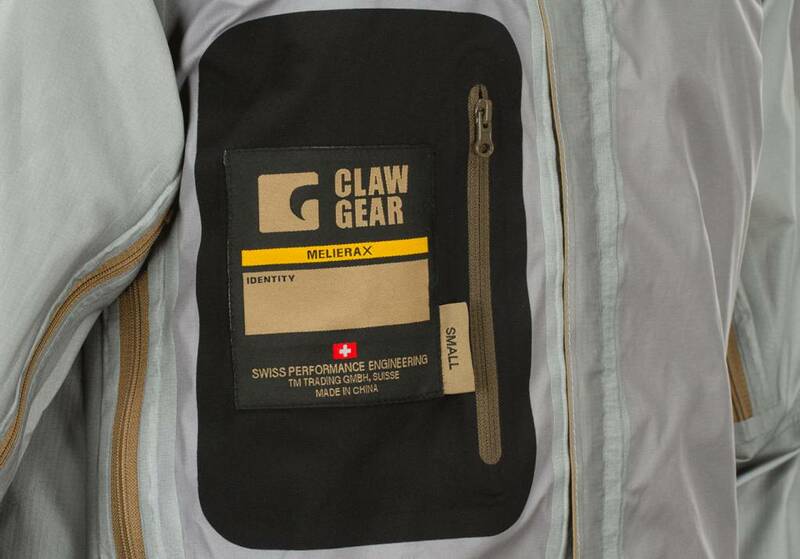 Material selection was focused on rugged, lightweight performance materials with little pack size. 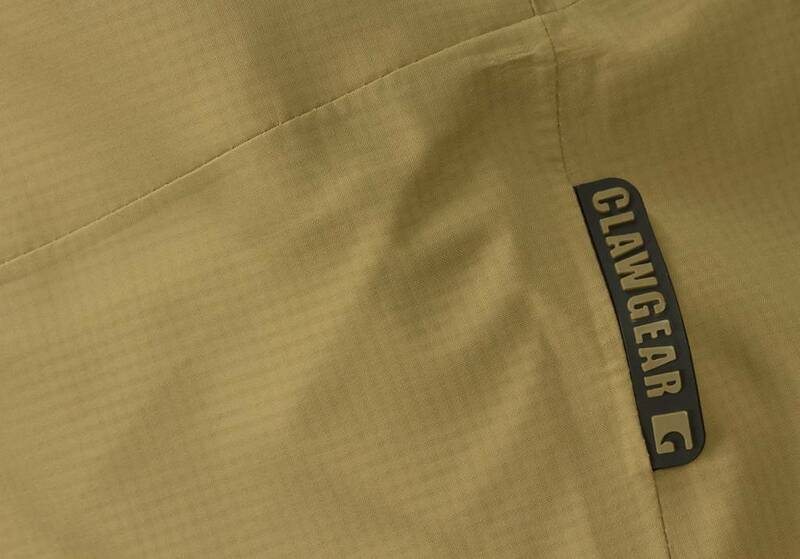 The pattern has been constructed for high mobility, to harmonise with body contours and to be worn over body armor. 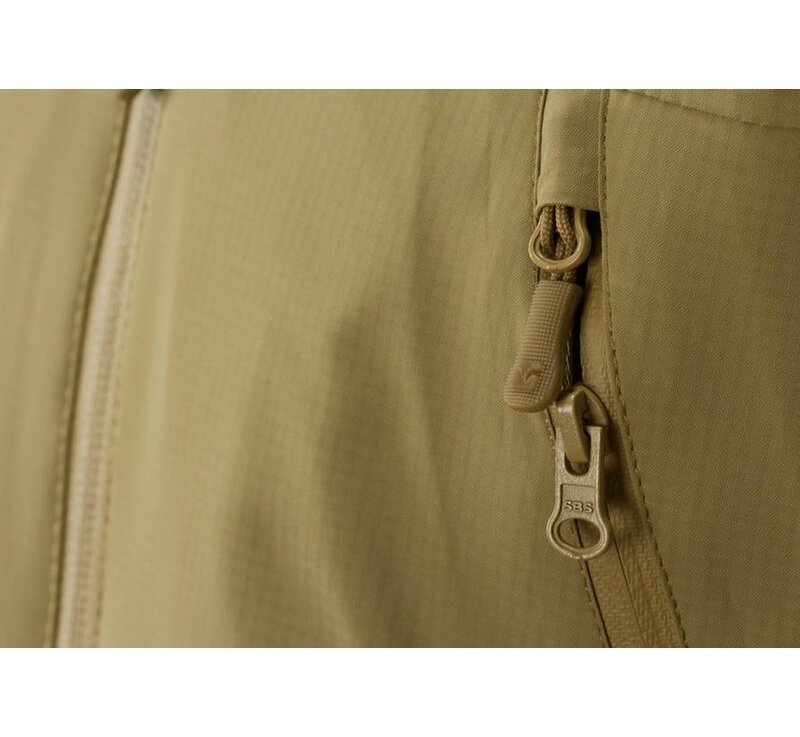 Durable nylon woven 3-layer fabric with rip stop structure features durable water repellent (DWR) coating, a wind blocking membrane with high waterproofness and breathability for optimal moisture management and a comfortable backer on the inner side. 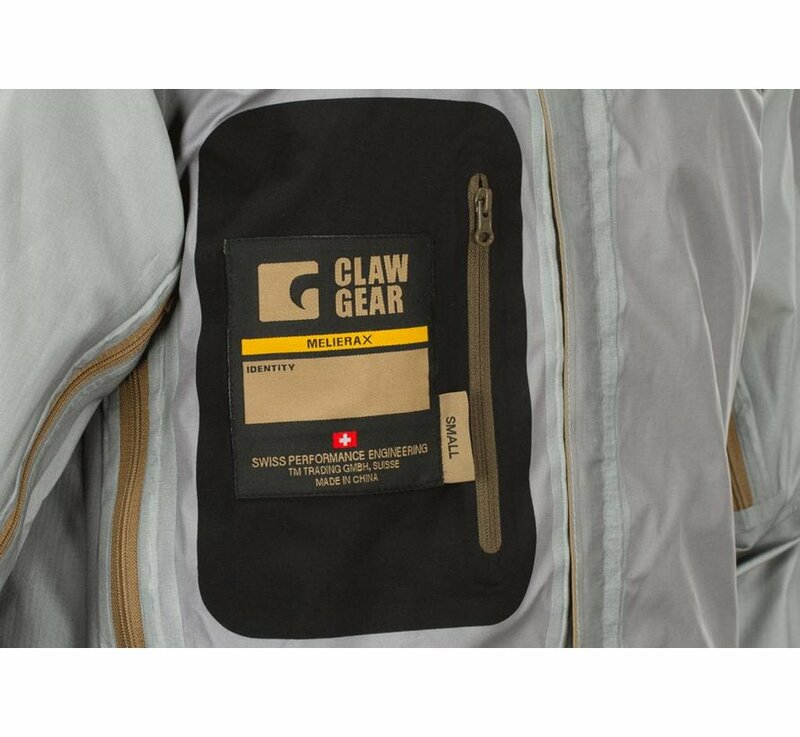 Fully seam sealed interior prevent intrusion of water and guarantee best possible protection during operations in demaning environments. 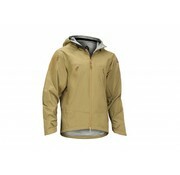 All on the outer shell located zips are waterproof. 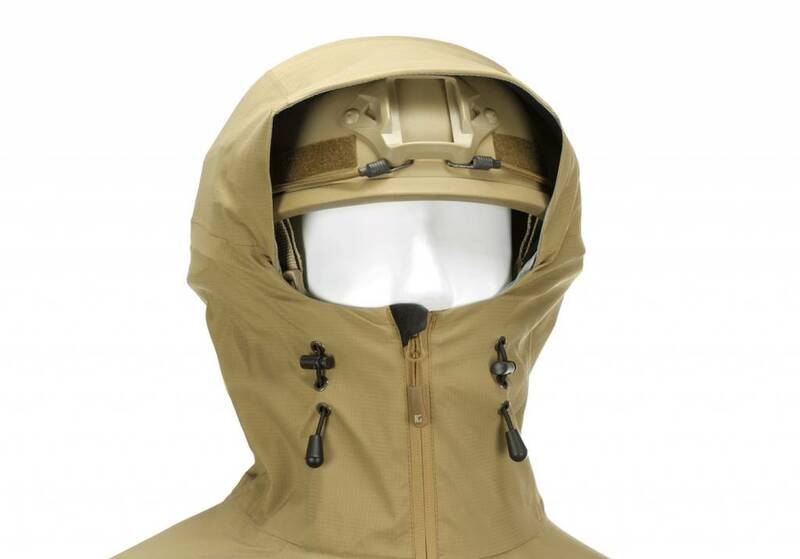 The hood is fully adjustable and helmet compatible. 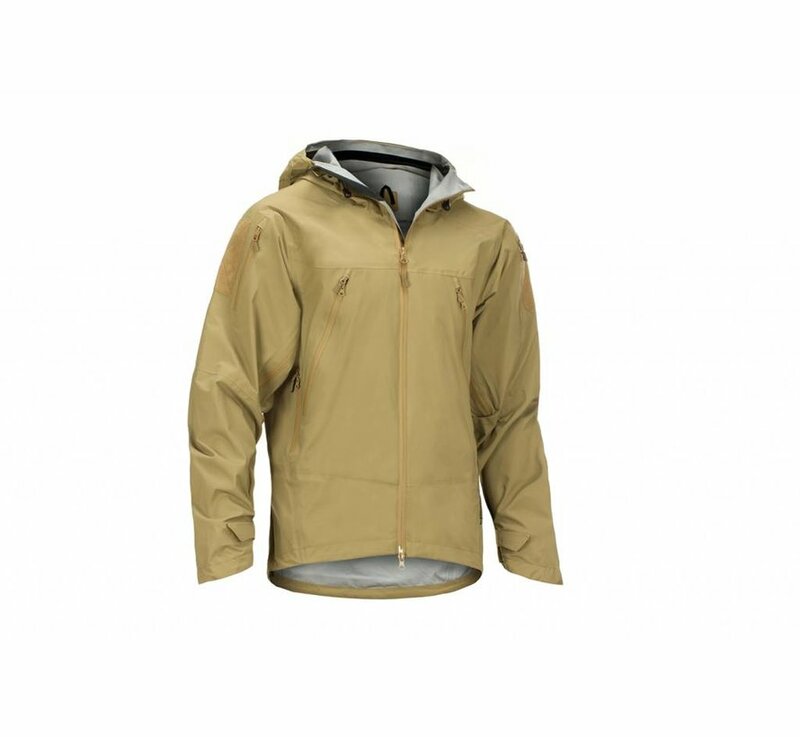 Both sleeves feature a sleeve pocket and hook & loop mounting surface. 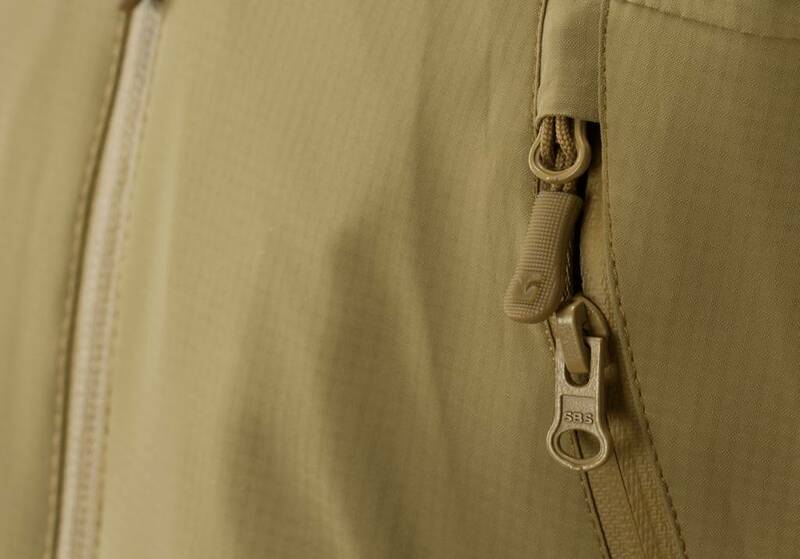 Large front pockets allow easy access even when wearing chest rigs or backpacks. 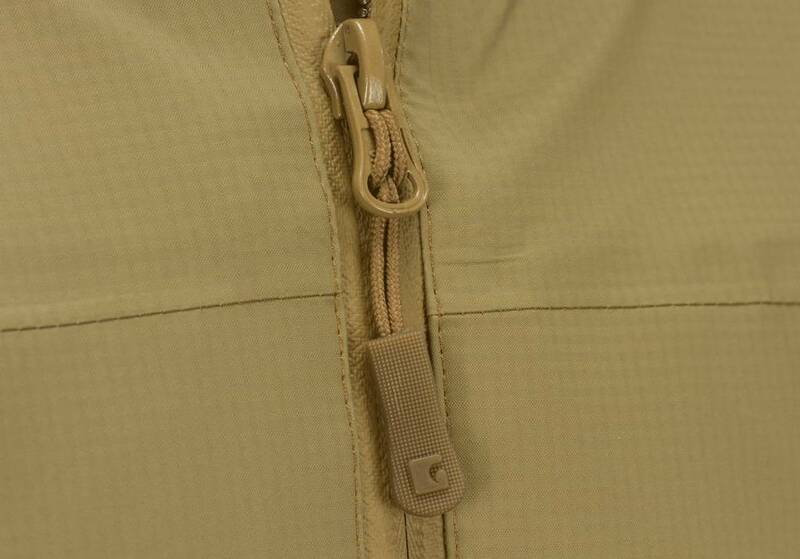 The Melierax also features pit zippers for easy venting and temperature regulation.